For tyhis card I used the new Snowman with Mittens stamp, along with a sentiment from THIS set, and the gorgeous Tiny Star Background. 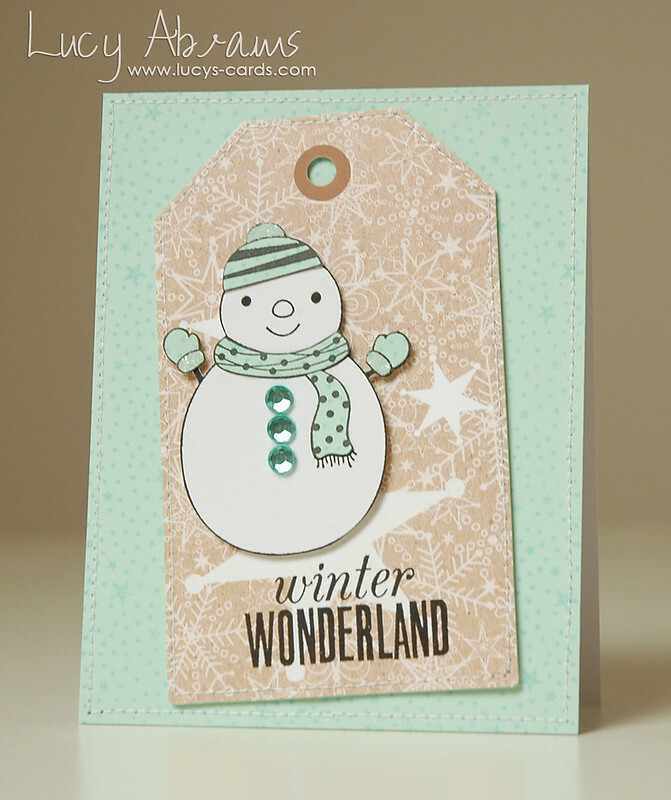 The tag is pre-printed with those pretty white snowflakes and comes from THIS set. To see the video and more details, click HERE. 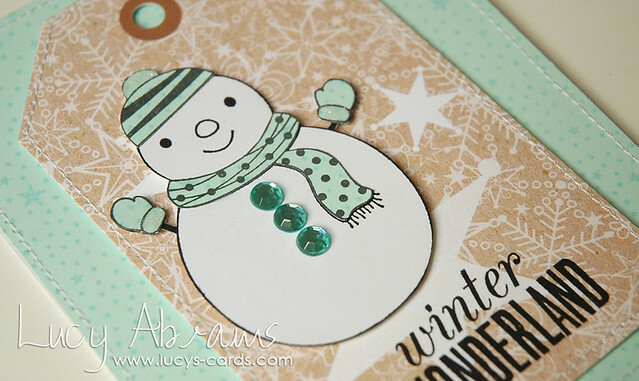 Just watched this video, over at HA - "wonderful" card, Lucy! Thank you, for the tips too!